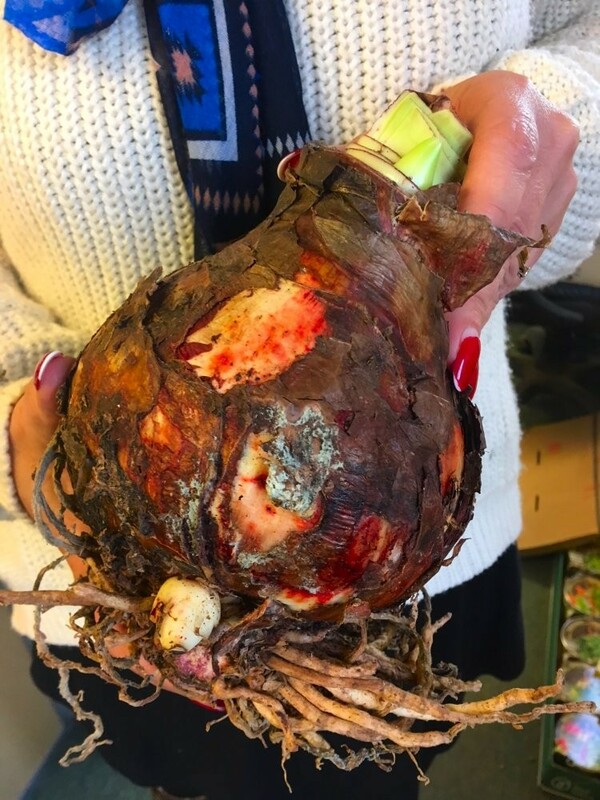 A HUGE Giant, Goliath Sized Amaryllis Bulb, (see picture of the size being held by one of the lovely ladies in our offices here at GE hq), ready to grow and bloom in your home. The Goliath sized bulbs guarantee huge flowers, and masses of them, with several stalks appearing in succession from each bulb. 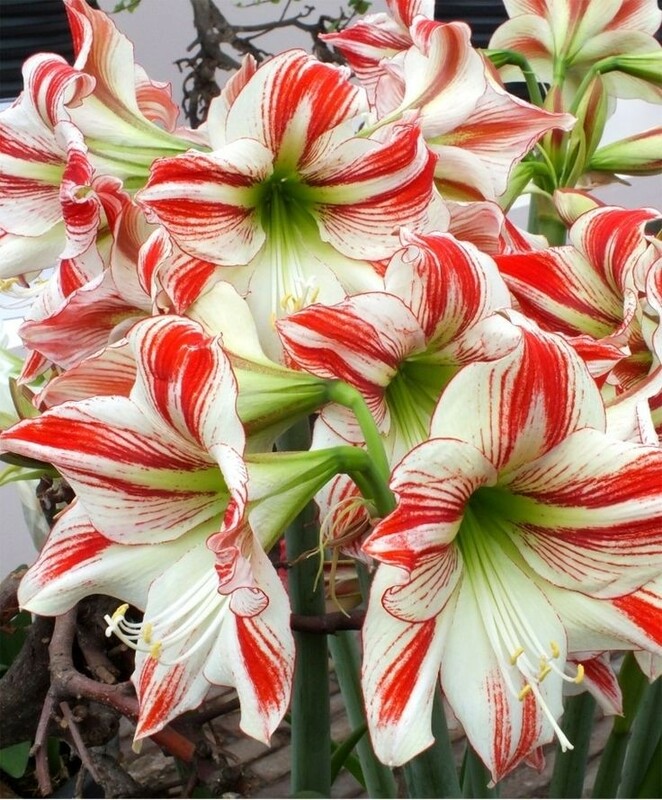 The flowers of the Giant Blooming Ambiance Amaryllis seem to float atop the sturdy 18'' stalks. These plants are renowned for large petals in bright colours. Perfect for growing indoors and container planting, this variety can also be planted outside when there is no chance of frost. The top quality Goliath sized bulbs are supplied ready to be brought into full bloom!